Yeah McMinnville!!! We have worked out an arrangement with Recology to gather our Styrofoam pieces and bring them to Agilyx in Tigard for their processing. We are truly fortunate that not only do we have a polystyrene recycler within an hour of where we live, but our trash hauler WANTS to do the right thing and find recycling solutions wherever possible. So, a bit over a month ago on December 26 the collection process started at the Recology Recovery Zone at 2200 NE Orchard Avenue. Monday through Saturday from 8am – 5 pm there is a Recology worker available to collect your Styrofoam. 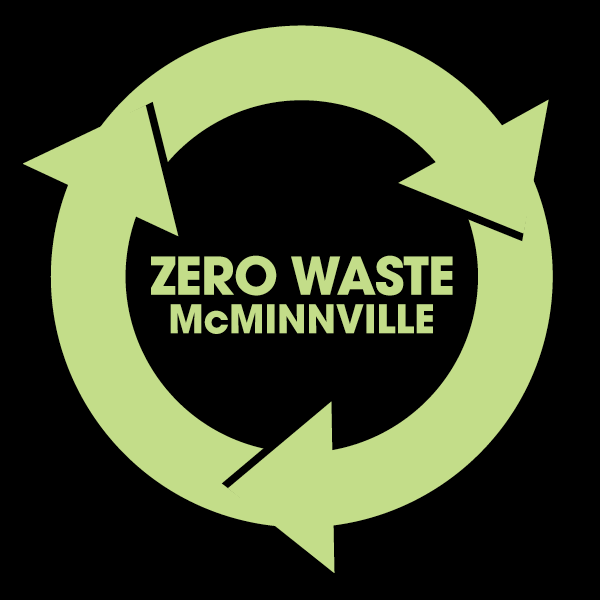 Residents of McMinnville (city) can drop 1 cubic yard for free daily. People living outside the city limits who are Recology customers can also drop off Styrofoam but there is a small charge. The initial phase includes Styrofoam blocks and other larger pieces. In time, smaller pieces like Styrofoam clamshells will be included as well as other polystyrene that is commonly used, like the red Solo cups and other #6 plastics. Also in time, once the whole process has worked out the inevitable kinks that any new project has, attention will turn to the large Styrofoam disposal locations. These are the large stores that sell appliances and furniture, all of which come in protectively packaged and wrapped. The Information meeting Monday, February 4 5:30 at the Carnegie Room of the Mac Public Library will provide more information. This is EXCELLENT!!! So, why is this a dilemma? Well, we know just about everyone is ecstatic about this new service and we are too. Do not misunderstand me, please! The dilemma comes down to this: while Styrofoam is large and does not naturally break down and takes up a lot of space in landfills, it is not heavy, so the impact that removing it from the landfill is not as large as it feels. We need to do more and guess what? We’re working on it. A dedicated small group of volunteers, including the people at Cellar Ridge Construction have begun to develop solutions to the problems caused by construction and demolition debris. Many have us have enjoyed watching those home improvement shows where demolition typically involves a large sledgehammer and a dumpster. No doubt about it, smashing down a wall can be cathartic to the psyche, but the debris ends up hogging a lot of space in the landfill and weighs a lot! So, Cellar Ridge, who has been using sustainable practices wherever possible, will help us address the cost savings that a slower, methodical approach to removing usable components and permitting re-use can provide. Imagine not having to pay for so many truckloads going to the landfill. This is a win for the contractor!! And there is another component to the dilemma: we need more people to help work this out. We are especially looking for those people with the experience of working with materials like this, but anyone who enjoys a good research project can help. Thanks Ramsey….and thanks for reading the blog too!